September! This month often evokes a lot of things; the end of summer, the beginning of a new school year, fall foliage, sweater weather and SAPPHIRES! Lucky Virgos and Libras born in this month have a birthstone that needs little introduction. Sapphires have been recognized for centuries for their rarity and intrinsic beauty. In fact the root of the word can be traced back to the ancients, derived from the Latin word ‘sapphirus’ and the Greek σαπφειρος (‘sappheiros’). Although the word sapphire immediately evokes shades of blue, this precious gemstone is a variety of the mineral corundum and can be found in a rainbow of colors – except for red corundum, which is more commonly known as ruby. When referring to a sapphire that is a color other than predominantly blue or red, the gem industry gives these stones the distinction ‘fancy’ sapphires. 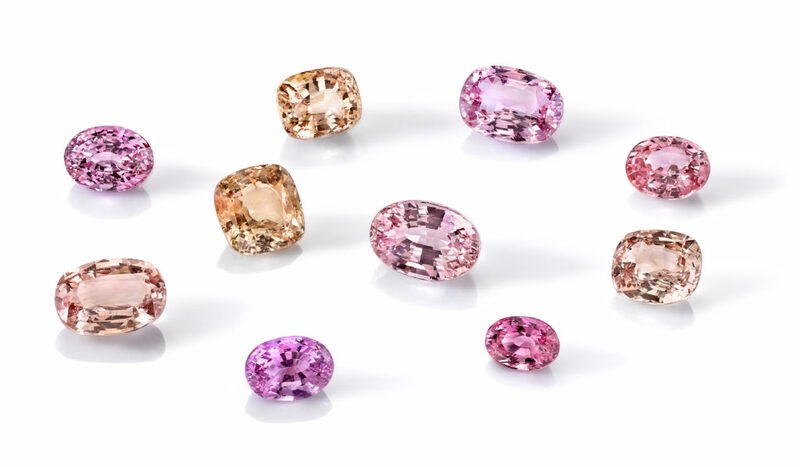 Fancy sapphires come in an array of colors such as pink, purple, yellow, green and the elusive shade of padparadscha sapphire – a color that translate roughly to lotus blossom, containing a delicate mix of orange and pink. Sapphires are corundum and are found in many other shades besides blue, from the gold of a sunrise, to the fiery reddish-orange of sunset, to the delicate violet of twilight. But throughout history it is blue sapphires that have featured prominently in royal and ecclesiastical jewelry and talismans. Kings and rulers often wore sapphires to protect themselves from envy and infidelity. Many people prized them for their celestial colors believing they were connected to the heavens and reflected the color of the sky. Perhaps it is due to their regal association that the most valuable sapphires are described as being ‘Royal Blue’ in color. These stones will have a rich and bright medium blue to violetish blue color, without areas of serious extinction. 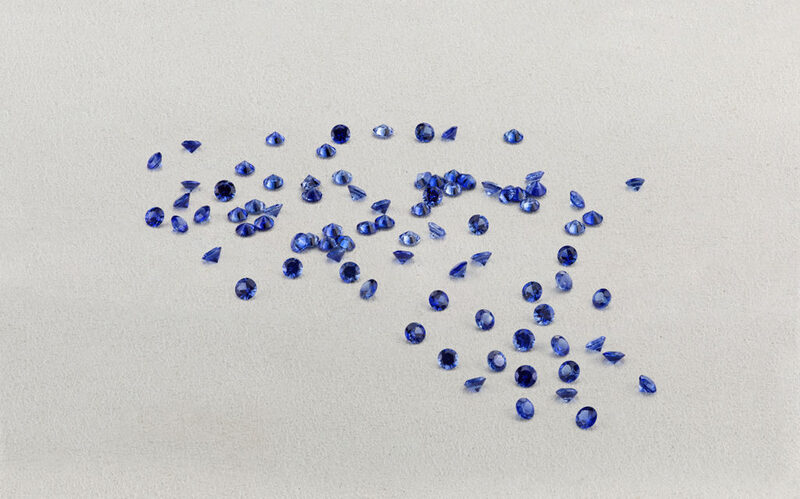 Overwhelmingly, this is considered the most desirable color for sapphires. Sometimes sapphires can be described as ‘velvety’ in nature. This term most commonly is associated with legendary Kashmir stones, the source for many of the world’s most magnificent blue sapphires. The ‘velvety’ appearance is due to tiny silk inclusions that scatter light without affecting transparency, giving these coveted stones a mesmerizing visual effect. Kashmir sapphires are incredibly rare; in fact, they are hardly ever seen on the market since the mine was discovered over 120 years ago and was quickly exhausted. Ceylon (Sri Lankan) and Burmese sapphires can come close in quality and are the predominant source for today’s finest stones. Blue sapphires are also found in a number of other locations around the world, such as Madagascar, Thailand, Australia and the state of Montana in the United States. When considering purchasing a sapphire, color is key. Assuming minimal inclusions and fine cutting, ‘Royal Blue’ stones will command the highest prices, with strong to vivid color saturation. Color should not overpower brightness. Less expensive sapphires will typically be darker or lighter, or with a possible grayish tone. Of all ‘fancy’ sapphires, padparadschas easily have the highest per-carat value. The specific color range to be considered a padparadscha is very narrow, therefore making ‘pads’ very rare and valuable. Omi Prive is a leading supplier of fine sapphires in the United States with sources throughout the world. 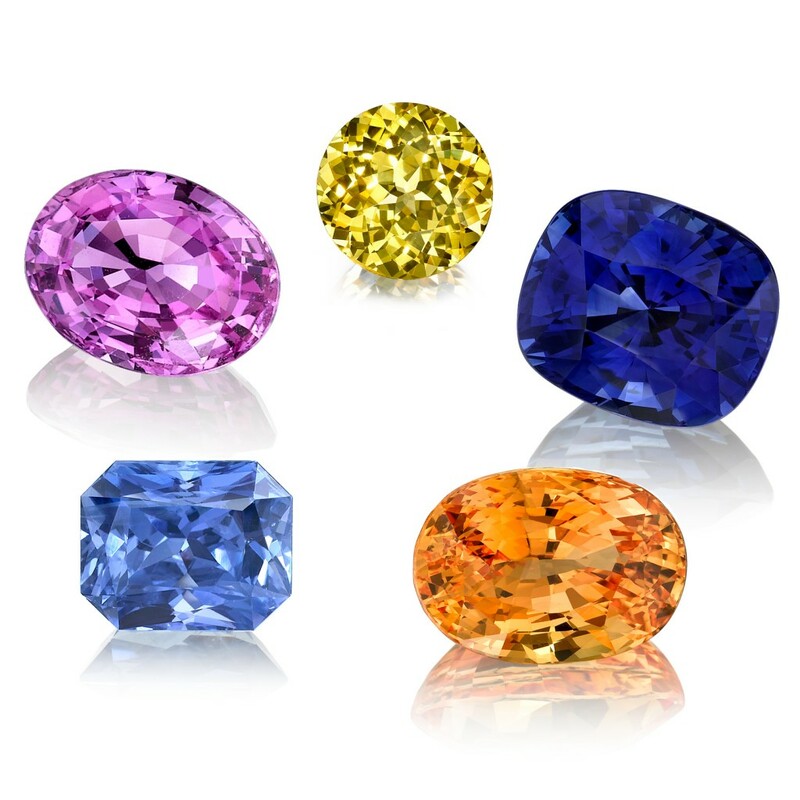 Current and past designs have featured sapphires of all shapes and colors, from delicate cornflower blue radiant cuts to opalescent star sapphires, and brilliant pink cushions to mystical bi-colored emerald cuts; and, of course, rich royal blues. The range of sapphires is inspiring and explains why this stone has captured gem lovers’ hearts for centuries. This entry was posted in Fancy Sapphire, Gemstones, Omi Gems, Sapphire. Bookmark the permalink.